Modern photo booths are now a distant cousin to the traditional photo booths of yesterday when looking at the technology under the hood. Search for a term like Photo Booth and you will find a vast array of modern equipment, making the latest booths more like portable studios than anything you could hire ten years ago. The dramatic availability of full frame cameras in both price and range allow photo booths to capture detailed images. 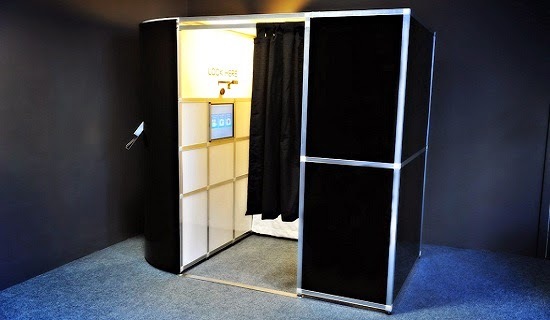 No longer are photo booth images restricted to a small square on a photo strip print out, with full frame cameras becoming more common, full size prints can be offered, greatly expanding the usefulness of photo booths at events for both private citizens and corporates alike. Within the last year, Canon’s 6D camera has become a favorite with its relatively low price and modern full frame sensor, beating the commonly used wedding camera the 5D Mark III for quality and value for money. Photographers know that lenses are the most important item in obtaining high quality crisp shots. Leveraging techniques used for portraiture, the rise in the use of Canon L lenses have delivered photo booth quality at a level unheard of only five or so years ago. Remaining flexible to the venue and client’s needs, a zoom lens is often preferred to prime with the Canon 24-105mm f/4 L lens used in high end studio quality photo booths. Looking at image quality, especially at a small size such as on a photo booth strip, lighting is the prime differentiator between poor to professional studio quality images. The important factor is supplying large soft light that highlights the entire image with limited shadows present to ensure details are clearly visible. Fortunately in the modern era, lighting modifiers such as light boxes and umbrellas are easily obtainable, with even large ‘octoboxes’ used to provide stunning studio quality lighting. Strobes should not be underestimated in terms of light quality however, using a professional quality strobe such as the ‘Einstein E640 Flash Unit’ can elevate a good image to stunning image quality. Often the only technical item clearly visible to clients of photo booths is the background used. Technical is used in a non-electronic way here, as there are many forms of background can be used. With all our modern techniques, most now use studio backdrops using paper, vinyl, even wallpaper providing greater detailed patterns than usually exist with traditional photography backgrounds. When deciding on the background, use one that would fit well in a studio situation, providing you a dual use of the background for a photo booth and portraiture. Keep in mind however that when printing a photo booth print a background with intricate detail may not be apparent on a small photo strip, so providing clearly defined patterns would provide greater results. In conclusion, the modern photo booth can now be thought of as a portable studio that not only provides entertainment but delivers truly professional quality images, previously only available at high end studios. Making yourself aware of the modern technical options available to studios, bring a greater level of professionalism and quality that will be loved by all who use the photo booth.